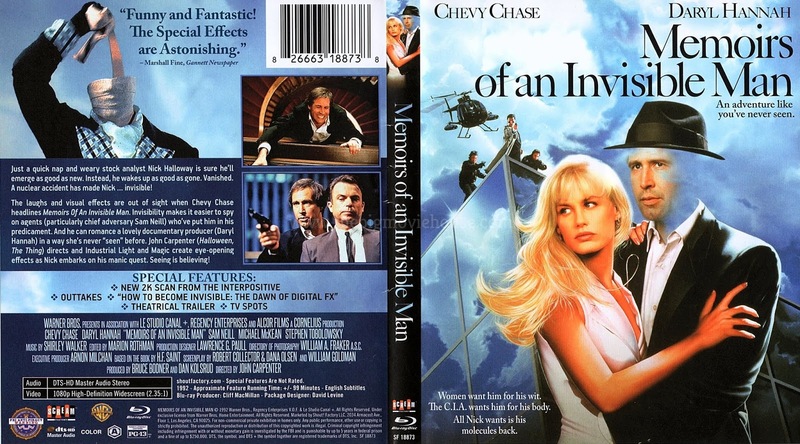 How to Become Invisible: The Dawn of Digital FX (4m 11s, SD, 1.33:1 / 2.35:1) Along with Terminator 2: Judgement Day and The Abyss, Memoirs of an Invisible Man was one of the first films to feature digital effects so prominently. All of the invisible gags were done digitally (some were done practically as well) and they stand up to this day. This is a brief look at how some of the effects were done. 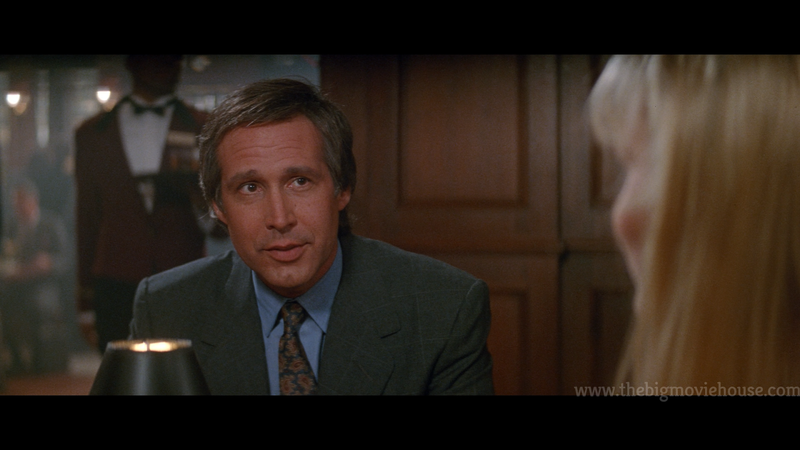 Vintage Interviews with director John Carpenter and actors Chevy Chase and Daryl Hannah (5m 23s, SD, 1.33:1) Very brief onset interviews with the three main players. Behind the Scenes Footage (5m 7s, SD, 1.33:1) A nice look at Carpenter directing his actors and the interaction between them. Outtakes (3m 9s, SD) These are actually deleted scenes although there is no alternate ending that we know was shot. I am disappointed that there is nothing new here like a commentary track or interviews. 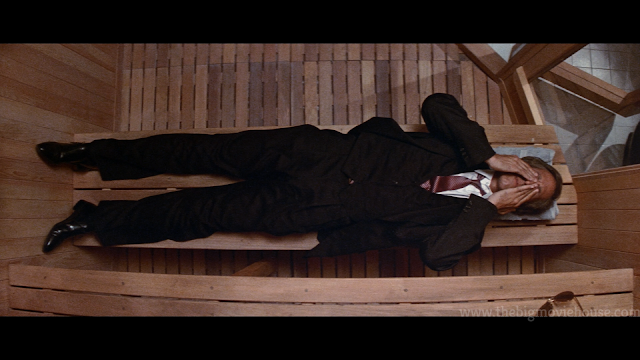 We know that Carpenter had a bad time working with Chase and Warner Brothers and he was offered the chance to record a commentary track, but he refused. It is a shame that there is no one to speak for this film. At least we got the film in HD and that is what really matters. 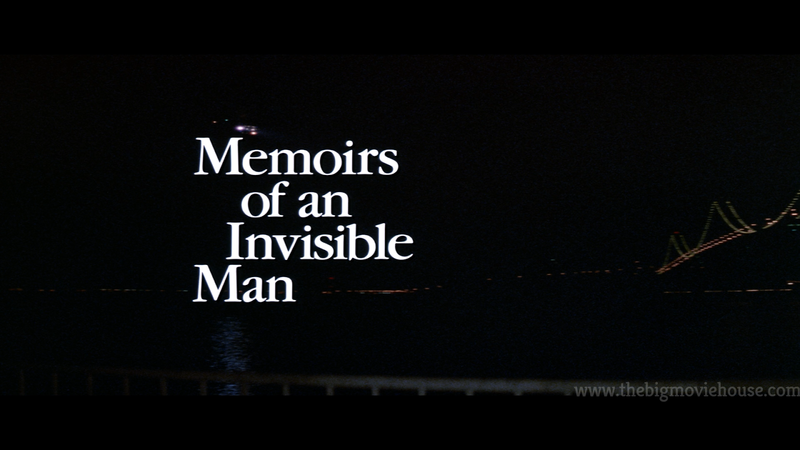 Memoirs of an Invisible Man comes to us courtesy of Scream Factory. The front cover features the film’s original theatrical poster art which is beautifully done. There is inner artwork that features Chevy Chase looking at his invisible body in a mirror (with a hat on) and a portrait of Chase standing behind Daryl Hannah while holding her. The disc features the same artwork as the front cover. Sourced from a new 2K scan of the film’s interpostive and presented in its original aspect ratio of 2.35:1, Memoirs looks great. 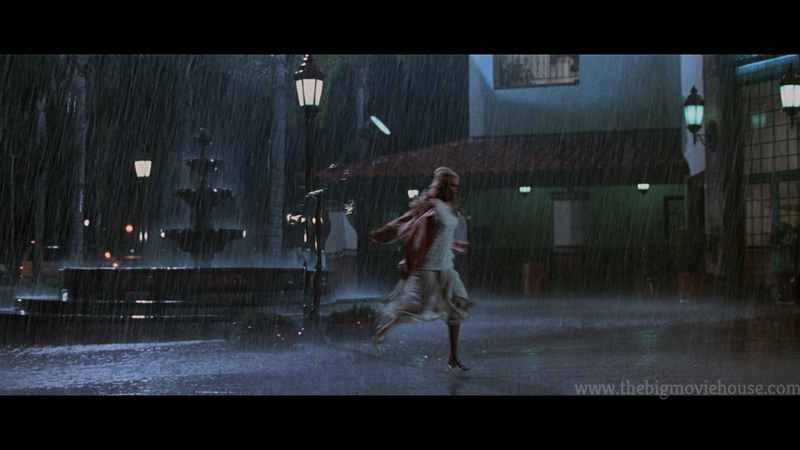 Colors and skin tones look correct while the film has a softness to it in certain scenes. 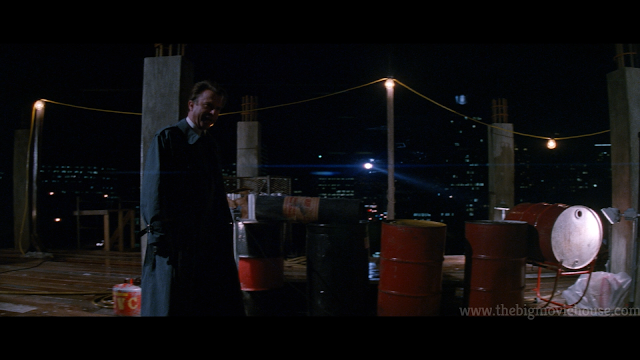 There is a thin layer of grain throughout, although it does get a bit heavier in darker scenes. 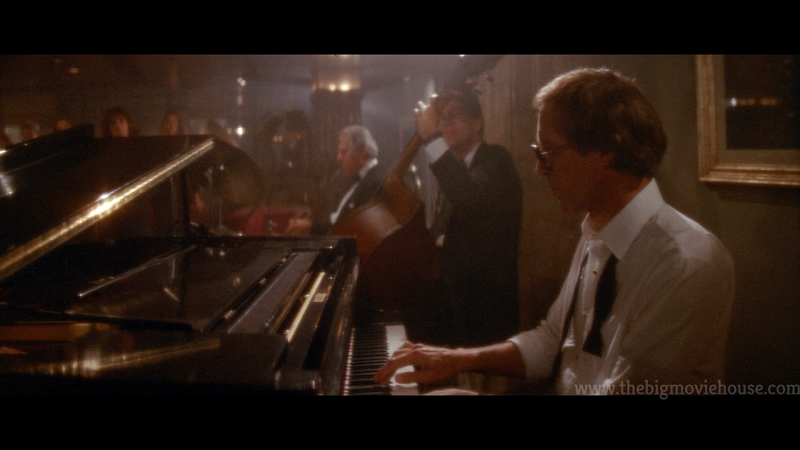 This grain gives way to a nice amount of detail and the whole film has a film-like feel to it. All in all, this is the best Memoirs has ever looked and Scream Factory did a great job here. Scream has given us an English DTS-HD Master Audio 2.0 track and the results are nice. 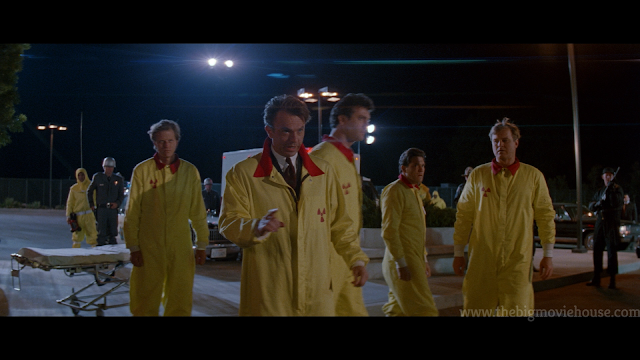 The film has a few action scenes where the sound comes alive, but it isn’t very taxing on the speakers. The dialogue comes through great without any lines coming in too soft. The real winner, though, is the score by Shirley Walker. The score is excellent and comes through loud and clear. 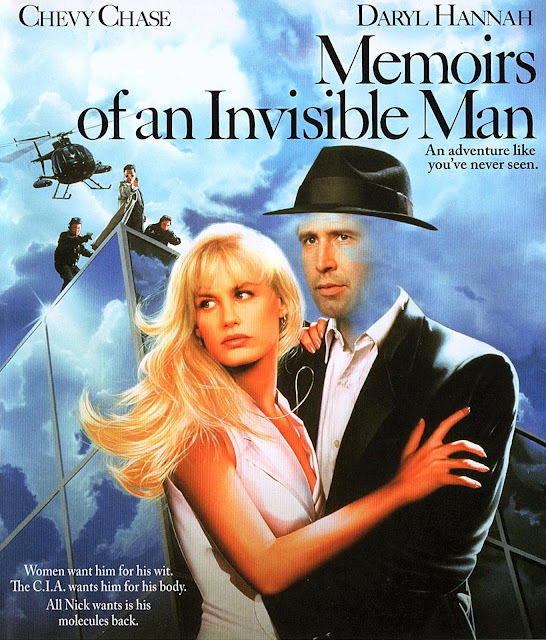 Nick Halloway is accidentally made invisible during an accident. When Jenkins finds out about Nick, he set out to recruit him into the world of espionage, seeing the potential for an invisible CIA agent. When Alice Monroe falls in love with Nick, they are forced to flee the attentions of Jenkins. Nick also has the problem of living invisibly whilst trying to find a cure. Memoirs is a hybrid film. It feels like a John Carpenter film while at the same time not feeling like a film of his. 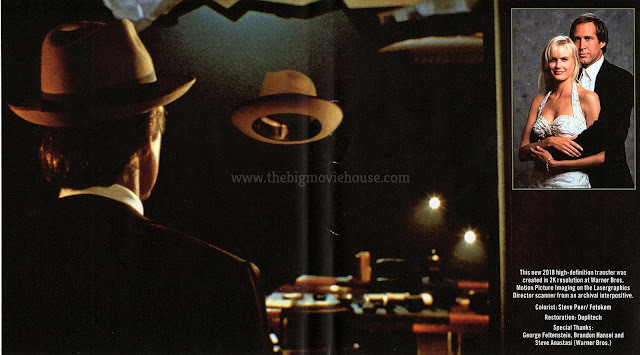 While watching the film, you pick up on the stuff that Carpenter is a master of: the way that he frames shots and uses the scope format for all its worth. Some of the humor, especially many of the sight gags with the invisibility are definitely Carpenter. Hell, the gag at the end of the big chase is his. And then there are the things that are not very Carpenter-esque. 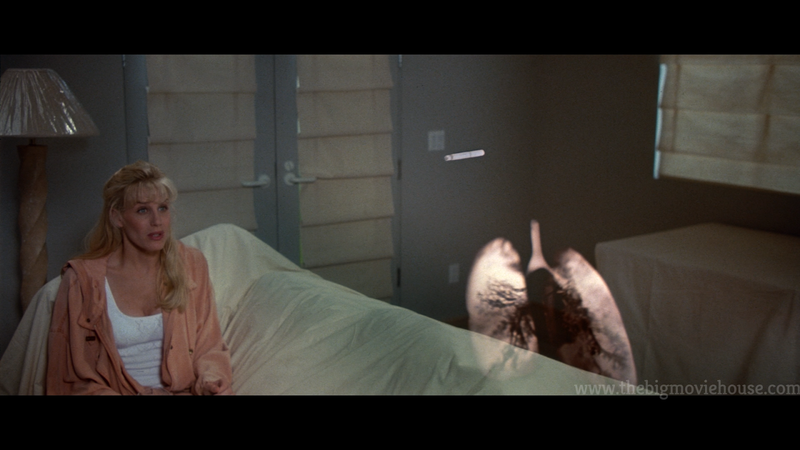 The way the film just stops to focus on the love interest played by Daryl Hannah. She has two scenes towards the beginning of the film and then is forgotten about while the Invisible Man hijinks happen. She then shows back up with no rhyme or reason and becomes the globe interest. 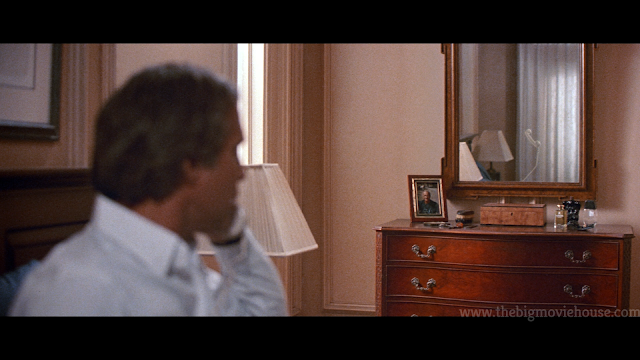 Many of Carpenter's films feature strong women but Hannah's character feels anything but. I just felt that the character was poorly written. Hannah does what she can but the character just isn't all that compelling. The pacing was off too. The first half seems to be building to something but then it stops for that pesky love interest thing we talked about earlier. The film picks up in the back half but the pacing has already been killed by then. The effects used in the film are nothing short of amazing. This was one of the first films to feature digital effects and they have aged very well. This is due to the filmmakers using both practical and CGI. As I was watching the film, I thought of how the film would be made today. Most of the effects would be CGI and the film would lose out on the realness of the effects. All of the effects done here have a practical element to them making them more real than what we get today. 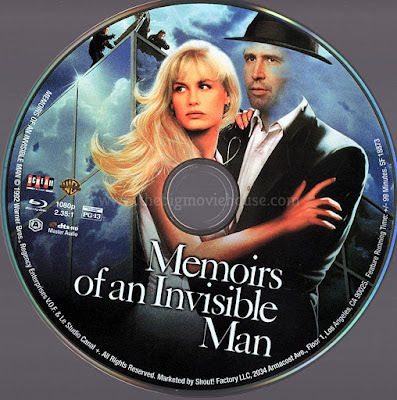 Memoirs of an Invisible Man is a fun film that would have benefited greatly had the studio and producers left Carpenter to make the film that he wanted to make. What we get still has the feel of a John Carpenter film, but is missing that spark that his earlier films had. Chase and Hannah have almost no chemistry together and the film feels more like a puzzle when it should have been more streamlined. This is not Carpenter’s worst film, but it sits right there in the middle, waiting for someone to love it. 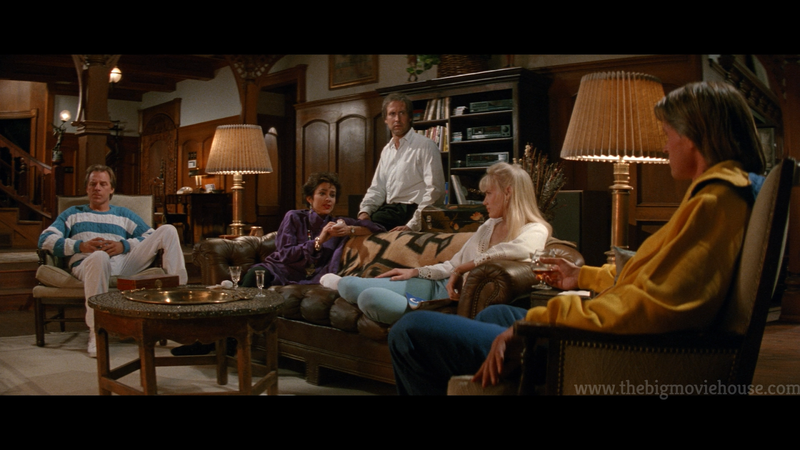 The blu-ray, from Scream Factory, is really nice. The picture and audio quality are excellent, but the special features leave a lot to be desired. Still, this is a nice release that any Carpenter fan needs to have in their collection.